One common assignment for children of all ages over the summer is summer reading. Beginning readers are often encouraged to keep a reading log while middle and high schoolers may have assigned work such as reading a novel and writing a paper. It’s easy for you to see the benefits of reading over the summer, but it’s not always so easy for your kids. Some kids love reading, others do not. They would prefer to laze away the summer days playing video games, enjoying the outdoors or hanging out with friends. While summer is a great break and other activities are also valuable, the reading task remains. It’s discouraging to ask your child “How’s the reading going?” only to hear a mumbled response about how summer isn’t even half-way over. So, how do you boost motivation for reading? Is there any way you can get through the summer without pushing, prodding and nagging your kids about reading every single day? Bring routine and great modeling to the summer reading plan by observing family reading time. Schedule 15 to 30 minutes each day for the whole family to read. Break out a novel or a newspaper yourself to set a good example. Children who see their parents read will benefit from seeing an adult enjoy this activity, helping them find value in it. In addition, the routine of everyone reading removes the focus from your child alone. Once you get into the habit, it will be less of a struggle as it will be an expected activity that happens every day. Another routine you can begin is reading in the car. Whether you’re running errands or going on a long road trip, consider making car time reading time. You could also occasionally listen to audiobooks in the car. Especially for younger children and beginning readers, hearing words is just as important as reading them. By hearing a story, they practice listening and reading comprehension skills as well. For young readers who are on the move, sitting down to read can feel like torture! Encourage reading by using other methods that will interest your child. For example, set up a short scavenger hunt with slips of paper hidden around the house. Your child will have to read each slip of paper that leads to the next clue. Depending on your child’s reading level, you can write clues like “Where you sleep” or “Where you eat” to send your child to the next spot. 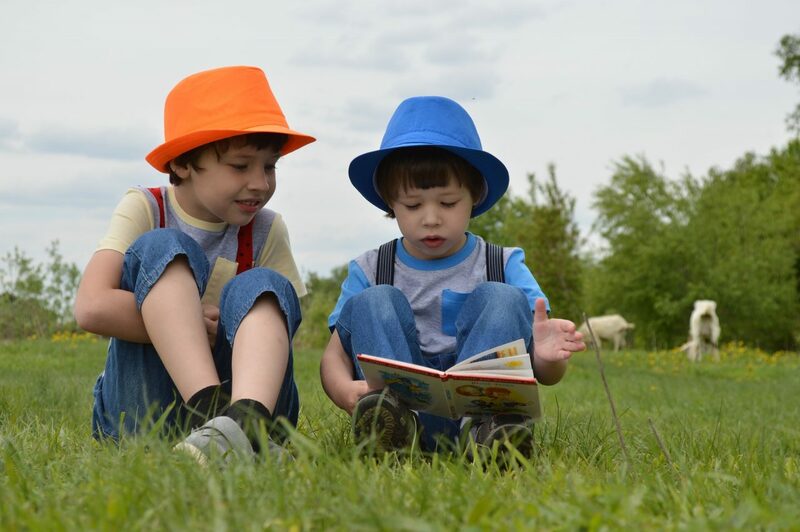 You can even be very explicit if your child can only handle simple words, for example “bed, dog, lamp, steps, etc.” At the end of the hunt, place a short book as a prize that you can read together. Even with an older child, reading aloud can be a great motivator. Take turns reading pages or if there’s a lot of dialogue, pick out characters for each one to be. Reading aloud takes some of the pressure off your child since they won’t have to read every single word on their own. New reading material can often inspire your child to read. Visit the library or a bookstore. The displays and large selection of reading material is sure to boost your child’s motivation to read. Regular visits will keep your child’s motivation to read going throughout the summer. Books aren’t the only reading material out there. Try children’s magazines, themed magazines, graphic novels and non-fiction books to inspire your child to read. A child who loves video games may be interested in a book related to their favorite game. Or, perhaps your child enjoys art and would be inspired by an arts and crafts book. Use your child’s interests as a guide to lead them towards reading material whether it’s an instructions manual for science experiments or a guide to Minecraft. Creating a challenge and setting goals is another great way to motivate your child to work on their summer reading. Consider using Picniic’s calendar to map out your child’s reading goals. Whether your child makes a goal of reading two chapter books a month or breaks down their summer reading project into sections, setting milestones on specific days is a great way to create accountability. Younger children may require a more visual example such as a wall calendar where accomplishments can be marked. In any case, celebrate each milestone achieved with a treat. Whether it’s a picnic lunch, a visit to the bookstore, ice cream or a dance party, recognizing the achievement will help keep your child’s motivation for reading high. Build some excitement about reading by creating a special summer reading nook. Put out a hammock on your porch or create a cozy corner full of pillows where your child can read. The key to a successful reading nook? Involving your child! Ask them to help you plan and create it. If they’re involved, they’re much more likely to use it. With these ideas, some patience and creativity, reading will become a fun part of you and your child’s summer routine! Summer reading is an important task that will help ensure your child is ready and prepared to begin school again in the fall. In addition, reading is a lifelong skill and activity that will serve your child in many different areas of their life. If you can boost your child’s motivation for summer reading, it may help create a positive pattern for life! So, experienced parents, what are your favorite tips and tricks for getting your kids to do summer reading? What has worked and what has failed? We’d love to hear your experiences in the comments below.